Noted law professor and author Alan Dershowitz joined FOX News to discuss the much anticipated report. 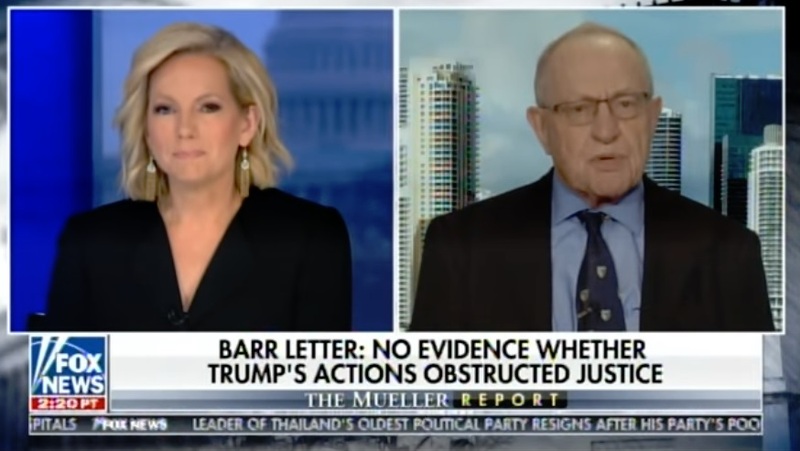 Alan Dershowitz: Look, this is a good day for the President. A very, very bad day for CNN. I have to tell you they should be hanging their head in shame. When you think about how many people went out on a limb and predicted there would be indictments for obstruction, indictments for collusion, there would be indictments for this and that. They made is seem like it was an open and shut case and they misinformed the American public.